One of the key ways to predict the direction of Australian growth in a sector is to look at the skills shortage lists for each state. Each year the Australian states research and release a list of skills shortages whereby the state would be willing to sponsor overseas workers in lieu of a lack of local skills. This not only reveals the level of local skills shortages but it also gives an interesting insight into the growth of particular industries including: Hospitality, Education, Tourism, Trades, Health, Construction, ICT, Automotive etc. 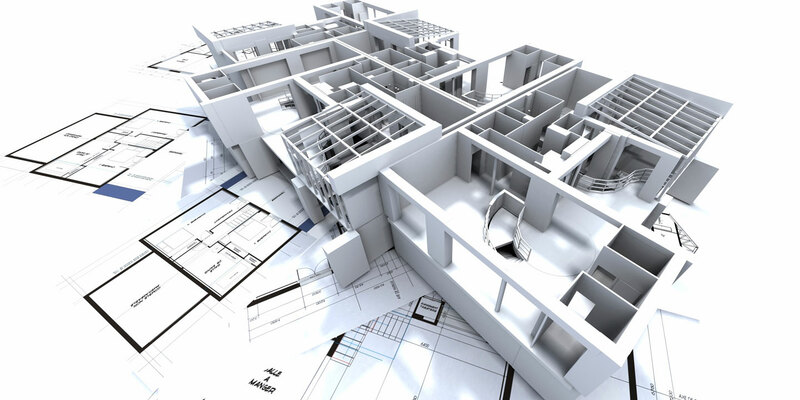 Interestingly, as each state has differing requirements, we can build an accurate outline of the construction forecasts for, in this instance, the construction and building sector. Engineers Australia released a statement from Hays Recruitment on January 2016 to say that: "major highway and rail infrastructure projects in NSW, Victoria and the ACT are generating high levels of engineering jobs for the January to March quarter of 2016. In its latest engineering recruitment update, Hays Recruitment said that design engineers, rail engineers, project engineers and drafters are all in strong demand. With the award of major infrastructure projects recently, associated industries and services are also benefitting, resulting in increased demand for certain personnel such as transport planners. According to the recruitment agency, Revit skills are highly sought after by employers across many roles, but are struggling to find candidates with the right skills, including self-sufficient architects and drafters. 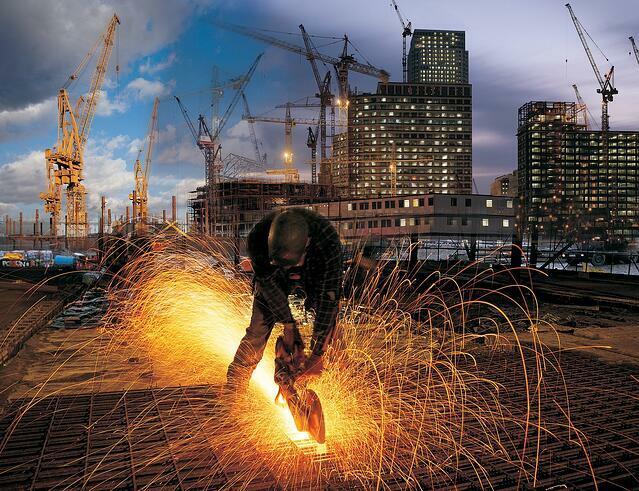 Within the consultancy space, senior structural engineers are in extremely high demand." For Western Australia, the construction trades shortage list looks like this: Bricklayer, Fiborous plasterer, Solid plasterer, Wall and floor tiler, Electrician (general and special class), Airconditioning and refrigeration mechanic, Electronic equipment trades worker, Telecommunications cable jointer. Associate Director of Hi-Tech Outsourcing Services, Bhushan Avsatthi discussed the expanding role of Building Information Modeling in the global commercial building landscape. He compared the uptake of BIM across the UK, the Middle East and Australia, and tied the respective government policy from each of these regions to the speed of this uptake. "The Australian construction industry has a clear understanding of BIM and its benefits for both government and non-government construction projects. We are likely to see a surge in the demand for BIM across the construction industry in Australia." He concluded by suggesting that while Australia is behind the UK and Middle East in the world of BIM, and is currently at a plateau in its adoption, the drive from Australian construction companies and architects will eventually see its widespread adoption in the country. “Our cities are growing – and so are congestion and the associated costs and loss of productivity,” says the GBCA’s (Green Building Council of Australia) Chief Executive Officer, Romilly Madew. “Infrastructure Australia has previously estimated that the cost of congestion will rise to $53 billion a year by 2031 without significant investment – this plan provides the roadmap we need to kick-start this investment. "We are particularly pleased to see investment in active and public transport options being considered in our cities, which will reduce congestion, cut greenhouse gas emissions and improve our health and wellbeing. “As the plan points out, sustainability and resilience must be integrated into all infrastructure debates and decisions as good economic practice. 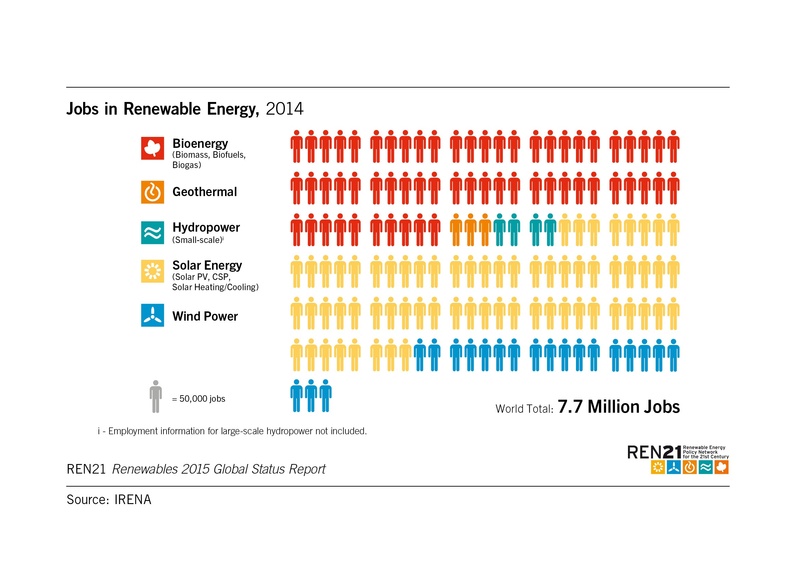 Infrastructure that is sustainable and resilient can support growth and a higher standard of living. Furthermore, a 40 per cent increase in year-on-year Green Star certifications confirms that sustainability is here to stay, says the Green Building Council of Australia (GBCA). 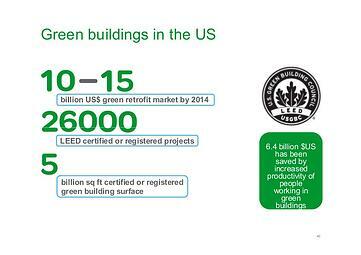 The GBCA certified 218 Green Star projects in 2015, compared with 156 in 2014. In addition, 184 projects registered to achieve Green Star ratings over the course of the year, up 52 per cent on the 121 registrations in 2014. “We have surpassed the magic 1,000 milestone, and now have 1,020 Green Star certified projects rated,” says the GBCA’s Chief Executive Officer, Romilly Madew. 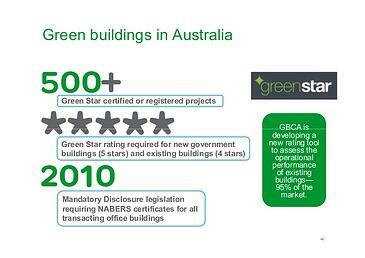 “More than 530,000 Australians now work in Green Star-rated offices – that’s 4.5 per cent of our total workforce. A further 4,400 people now live in Green Star-rated apartments and more than 16,800 students learn in Green Star-certified schools. The Green Star – Communities projects certified this year will one day be home to 80,000 people. The South Australian Government is the clear leader in 2015, with three Green Star ratings, including a massive 292,000 square metres of Green Star space at the New Royal Adelaide Hospital. “The New Royal Adelaide Hospital was the largest Green Star project certified in 2015, but the South Australian Government’s leadership extends beyond bricks and mortar. It has committed to achieve net zero emissions by 2050, has achieved a Green Star – Communities rating for the Tonsley urban renewal project in Adelaide, and the 5 Star mandate at Bowden is beginning to bear fruit,” Ms Madew says. Other notable government achievements include: Defence Housing Australia achieving the first 6 Star Green Star rating for a residential building for the Prince’s Australian Terraces in Adelaide; Wollongong City Council scoring the first 5 Star Green Star – Performance rating for its Council Administration Building; and the Sydney Opera House bagging a 4 Star Green Star – Performance rating. Full-vision glass panels: panels constructed using aluminium box profiles with section for the filling of your choice. Black plastic casing with double-glazed acrylate. Good quality components needed for the robust installation. Clean lines of the finished product. Thermal insulation maintained for the installation. Proven product support from a company with a long standing history with Geoffrey Thompsons. >> The Door is Open....to Who? What can you do to increase profitability and efficiency? Check out our free resources comparing a Compact Sectional Door to a standard roller shutter.